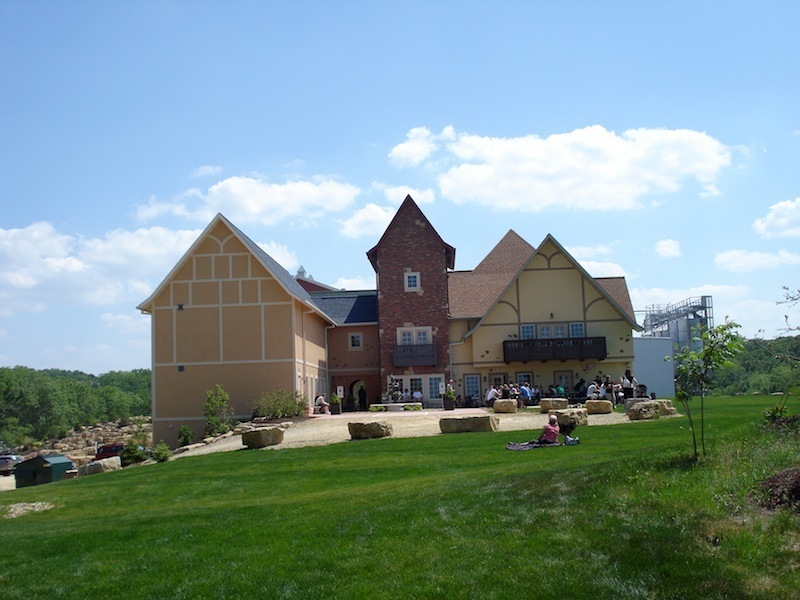 New Glarus is now known for Spotted Cow as much as its Swiss heritage. 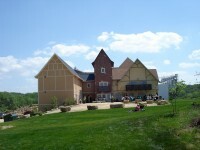 The New Glarus Brewery opened in 1993 along Highway 69 just north of the village center; by 2010, a newer, larger facility opened on a hilltop just south of the village center, also along Highway 69. The original brewery is still there and easily spotted, although closed to the general public; the newer brewery – called the Hilltop, creatively enough – features tours, a large gift shop, and a patio overlooking the town as you imbibe in their creations. 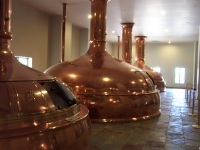 New Glarus Brewing Company is best known for their flagship beer, Spotted Cow. While only legally allowed to be sold in Wisconsin, it’s been smuggled all over the country; a bar in Manhattan was once busted for selling it. Other popular New Glarus brands include Moon Man, Totally Naked, Moon Man, Two Woman, Cabin Fever, Raspberry Tart, and Wisconsin Belgian Red, which is made with Door County cherries. Additional seasonal and specialty beers are made throughout the year. Tours are available seven days a week from 10am-4pm; self-guided tours are free. More involved “hard hat” tours runs Fridays at 1pm; they cost $30, run three hours and include both breweries plus a private beer and cheese pairing afterward. The Gift Shop and Tasting Room are open all week from 10am-4pm.